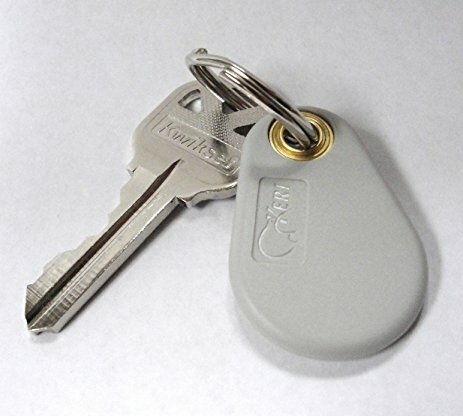 The industry's smallest and most durable proximity key tag. Encoded with the Keri format, it is designed for use with MS-Series readers: MS-3000, MS-4000, MS-5000, MS-7000 The tag is 100% transfer molded and is so durable it can withstand the weight of a vehicle. Size is 1.57" x 0.98" x 0.157" (40 mm x 25 mm x 4 mm). Sequentially numbered (C5 formatting excepted). Lifetime warranty.